New OUTLAST® Temperature Regulating Fabric is Your Solution! Hot Mattress interrupting your sleep? If your mattress is too hot you will find that the development of the Outlast temperature regulating fabric is fantastic news for people who love sleeping on a memory foam mattress but become extremely hot as a result of Memory Foam characteristics. The human body naturally sweats to cool the skin, reducing the ability of clothing, and bedding to keep the body dry, cool and comfortable. Outlast fabric has been used for many years; there is already an extensive product range from business to outdoor clothes. Outlast® technology works quite simply by using phase changing materials which incorporated into fabrics act with the skin’s temperature to provide a barrier against temperature swings. This allows the fabric to interact with your body to help balance temperature by absorbing, storing and releasing the heat that you produce as your body temperature fluctuates throughout the night. "There is really no need to change your existing memory foam mattress if it is too hot"
Overheating , sweating, and feeling cold are no longer a problem as this is continuously counteracted by the Outlast® fabric, in simple terms, when you overheat, the Thermocules will absorb the excess heat, however when your temperature drops, the excess heat is returned to you, giving a comfortable nights sleep where you wake refreshed and ready to face the day. This is particularly beneficial for those people who sweat excessively or have problems regulating body temperature. Having listened to our customers for many years, we are excited to offer the Outlast temperature regulating mattress cover to our range as we have trialed the performance of the mattress cover ourselves. I am personally a restless sleeper, warm one minute pushing the covers off and then waking later in the night because I feel cold. All of this leads to disruptive sleep patterns, since changing my mattress cover to the Outlast® cover I have had a much better quality of sleep. As is often the case, when new technology becomes available, the only downside is that it can be expensive; therefore if you are working to a budget it is a dilemma. On the one hand your mattress is causing discomfort and you know the solution, however financial constraints may prevent your investment. Due to valuable feedback from consumers, this has raised a question within the industry with regards to a cost effective alternative to the full mattress cover. 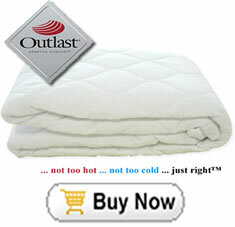 The fantastic news is that the new outlast mattress protector is now available to buy at a fraction of the cost. Functionality of the outlast fabric is not impaired in any way, as it fits snugly around the mattress ensuring that the upper surface is completely covered. The fitting of the outlast mattress protector works in exactly the same way as a conventional mattress protector therefore it will be held securely in place by an elasticated edge. This is a positive advancement for the memory foam mattress market, particularly for those who already have a memory foam mattress that simply requires an upgrade to achieve a cool comfortable sleep. 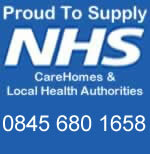 "The fantastic news is that the new outlast mattress protector is now available to buy"
There is really no need to change your exsisting memory foam mattress, the outlast mattress protector can be fitted to your existing one and gives exactly the same benefits as an outlast mattress so please don’t think you need a complete replacement to make it work for you . There are other cooling fabric covers available on the market today, however they simply don’t work as well, which is fine for some of us, unfortunately if you overheat and are predisposed to night sweats they are simply inadequate. The temperature regulating outlast full mattress covers and the inexpensive elasticated outlast mattress protectors are becoming increasingly popular for people who find that their mattresses are too hot and are therefore superseding their predecessors at an incredible rate. This high performance fabric really is second to none and far superior to anything on the market today ...so be encouraged, you really can have the sleep of your dreams without it costing the earth! To order now or view the Outlast product page click on the outlast image below! If you would like more in depth technical information on the Outlast® Technology, memory foam mattresses or mattress toppers please click here to go to the contact us form.